Why Is It Important to Get Professional Help for Opiate Addiction? Searching for a reputable drug addiction recovery hotline isn’t as hard as you might think. Toll-free hotlines are available to help those dealing with an addiction to opioids or opiates, and you can call whether you want help for someone you care about or help for yourself. There is never a bad time to call, and counselors are waiting by the phones every hour of the day, seven days a week. Before calling an opioid or opiate recovery hotline, you may feel you need to learn more about these drugs. An opioid is a type of drug that patients use to help manage pain. It’s important to note that some drugs that fall under this category, including heroin, aren’t available with a doctor’s prescription, while other drugs, including codeine, require a prescription from your doctor. 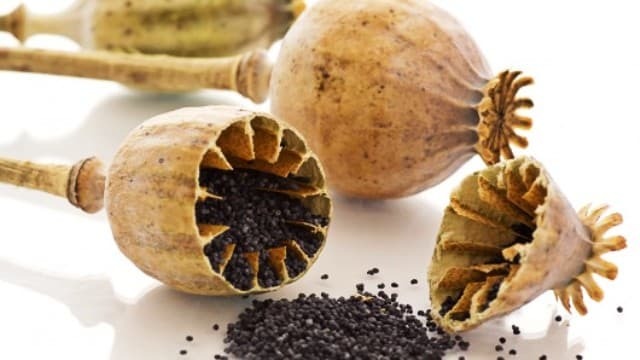 The main difference between an opioid and an opiate is that an opiate comes from the opium poppy plant, while an opioid is a man-made drug. Even though opioids are effective in treating pain, they have side effects, such as euphoria, which can lead people to abuse them. Over time, abuse can lead to an addiction. According to the Institute of Addiction Medicine, more than 32 million Americans have abused these drugs at least once in their lives, and nearly 2 million people have a dependence or addiction to one of these drugs. Addiction and dependence are not the same thing. Many people who are addicted to opioids are dependent on them. But people can become dependent on them without being addicted. Drug dependence occurs when an individual takes one of these drugs for an extended period of time. The body becomes used to the presence of the drug and begins to need it to function properly. If you stop taking the drug, or you take a smaller amount of the drug, your body might exhibit some withdrawal symptoms. Note that dependence can develop even in someone who is taking the drugs as prescribed. Those addicted to opioids or opiates have a hard time controlling their use of these drugs and will use them despite any harm the drugs may have on their lives. An addict might visit multiple doctors to gain prescriptions for painkillers, experience troubles in their professional and personal life, and engage in risky behavior when taking the drug. Opiates are hard to quit on your own. The withdrawal symptoms can be very uncomfortable, and many people keep using to avoid them. Further, addiction is often driven by underlying conditions such as depression, anxiety, or past trauma. If these issues aren’t dealt with, the person may relapse in the future when the condition is triggered and the symptoms return. Addicts need to learn not only how to manage the underlying conditions but also how to recognize things that trigger them to use, such as stress. Rehab centers can help treat opioid addiction by monitoring withdrawal symptoms and prescribing medications, working through the deeper issues that can contribute to an addiction, and teaching people relapse prevention skills. These programs also put users in an environment with staff and patients who can understand what they are going through and offer useful advice based on their own experience. The support addicts receive in rehab can be a major factor in their recovery. When you first decide to get help for yourself or someone else, you might not know how or where to start. Using a helpline is a good option for many people, because most hotlines are anonymous. Before you call the first number you see, keep a few factors in mind. You want a helpline that can offer recommendations, suggestions and referrals no matter where you live. You should also sure that the hotline has a confidentiality clause. The helpline counselor should agree not to share your name, phone number, address or any other information you give to anyone else who might call. Calling an opioid addiction hotline is the first step you can take to get clean and sober. These helplines provide information on opioid and opiate addiction and can help you assess your particular situation. Each situation is unique, and each treatment plan should be customize to suit the individual’s unique circumstances. A hotline can offer helpful information to you and answer any questions you have, so call today. The sooner you seek help, the sooner you can move forward with your life. Call now to get help for an opiate addiction.